Electronic Rebate - $75 eGift Card w/ Purchase See More. 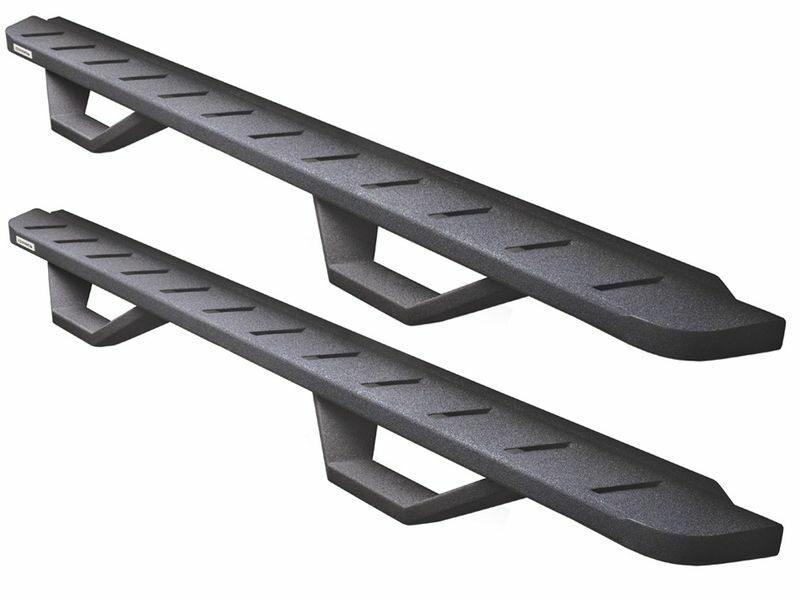 Check out the RB10 Drop Step Running Boards by Go Rhino. These steps are great because they give a raptor-style stepping surface that protects your paint from rocks and gravel. Features include being manufactured from reinforced 16 gauge steel, raptor-style louvers, and an aggressive black texture polyurethane finish. This product comes with everything you need to get these installed in a few hours, and has a 5 year warranty. Purchase a set of Go Rhino RB10 Drop Step Running Boards today!